Born in 1952 in Aberdeen, Stephen Croes moved to Rapid City at age 4. His parents believed in the arts and helped their children appreciate creativity. Stephen took piano lessons, but his pianist mother, Beth, also wanted him to learn percussion. Stephen played in concert, marching, and swing band. While in high school, Stephen played drums and sang in a trio called Moonfire. Brothers Russell and Leslie England completed the trio. They played rock and roll, and some of their repertoire was original music. They covered Hendrix, Blue Cheer, and the Beatles. Their reputation spread into eastern Wyoming and western South Dakota. Moonfire disbanded when its members went off to college, and they remain close friends. Croes first attended Antioch College in Yellow Springs, Ohio, where he was guided toward literature, philosophy, film, and music theory. Stephen moved to Denver for a short time and then to Los Angeles to sort out his career options. He fell in love with Apple computers, and later with the Synclavier. This Rolls Royce of digital workstations became his passion. The instrument was powerful, somewhat rare, and hard to learn. Croes considered it the ultimate electronic instrument, a potent production tool for sound creation with a design of unrivaled sonic quality. The Synclavier gave him access to high-level work in the music industry, and he became engrossed in mastering the instrument. 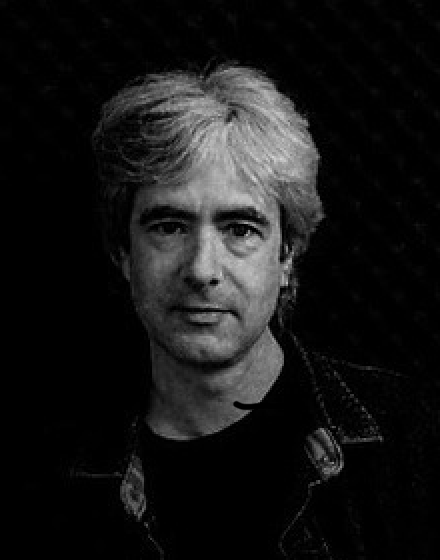 Stephen Croes is an independent producer, arranger, composer, session player, synthesis/sound designer, mixer, and engineer. His record credits include Fleetwood Mac, the Yellowjackets, Stevie Wonder, Kenny Loggins, Geggy Tah, Jennifer Warnes, Leonard Cohen, REO Speedwagon, Kansas, Alice Cooper, Brenda Russell, Andy Summers, and Face to Face. Film and television credits include “Bull Durham,” “The Hidden,” “Star Trek: Next Generation,” “Deep Space Nine,” “Voyager,” and “Enterprise;” National Geographic specials; Cousteau Society specials; television specials for PBS, CBS, NBC, ABC, USA, Showtime, HBO, and Fox. He has created for advertising campaigns with Pepsi, Minute Maid, Honda, Nike, Fibercom, MGM, and Bell Telephone. The South Dakota Rock and Roll Music Association is proud to induct Stephen Croes into its Hall of Fame.